CRCC Asia closely monitors information available from the World Health Organization and governmental Foreign Offices to ensure that important medical information is made aware to interns before their arrival in their host company. CRCC Asia is to be partnered with StudentUniverse to help provide our program participants with a trustworthy, cheap and affordable travel booking service. StudentUniverse is the world’s leading travel booking engine for students and young adults. To receive exclusive rates please use the exclusive CRCC Asia- StudentUniverse booking portal. Once you have successfully booked your flights with StudentUniverse, please inform your Admissions Advisor. This is very important so that we can coordinate your arrival with the team and organize your Airport Pickup service. You need to send us your flight details at least two weeks before your program start date. If we receive your flight information after this date then we will not be able to guarantee you airport pickup services. As outlined and required in our Terms & Conditions, in order to be eligible to participate in our Programs, participants must have full, comprehensive travel insurance which will adequately cover the duration of the Program. 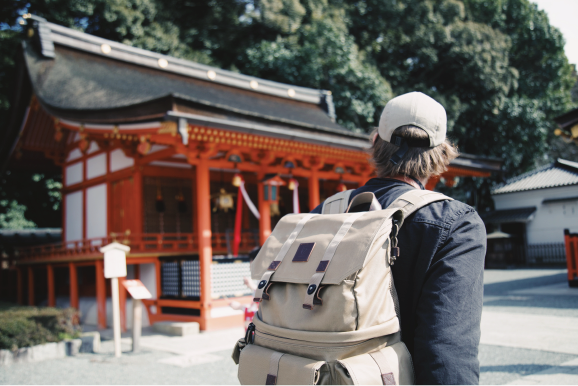 Because our interns are truly global, coming from all over the world, it isn’t possible for travel insurance to be integrated into your Program Fee. CRCC Asia is partnered with Envisage Global Insurance to help provide our Program participants with comprehensive travel insurance. Click here to get your quote. If you are a Canadian passport-holder, please view your policy options before making your purchase via this Canada-specific portal. Participants must also inform CRCC Asia before departure of any pre-existing medical conditions and medications currently prescribed. In no way will participants health conditions affect your eligibility to the program; the information is used to best provide high-quality welfare support during your time abroad.